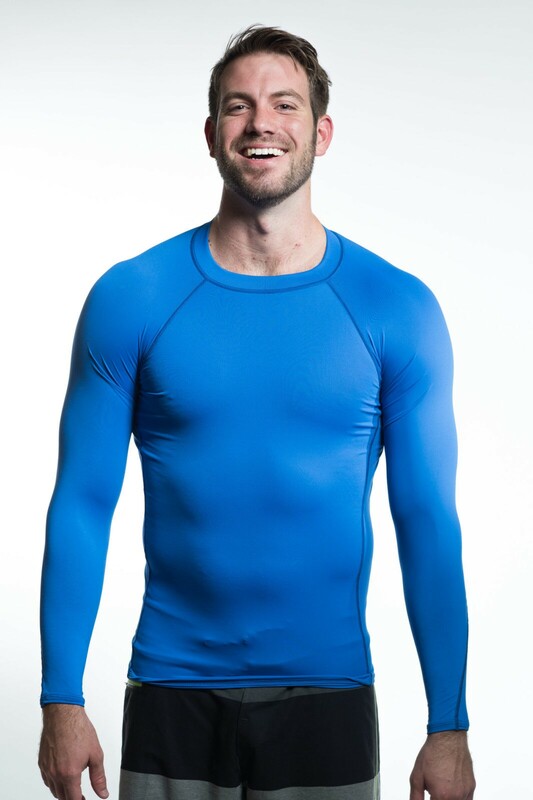 Excellent quality long sleeve mens rash guard made in the USA for the every day recreational athlete to use in water. Flat lock stitching and seams, no neck label, torso length, and double needle hem Geared to perform and formulated for comfort. Performance fit: form fitting tight layer fits like a second skin to not get in the way of your performance surfing, diving, and swimming. 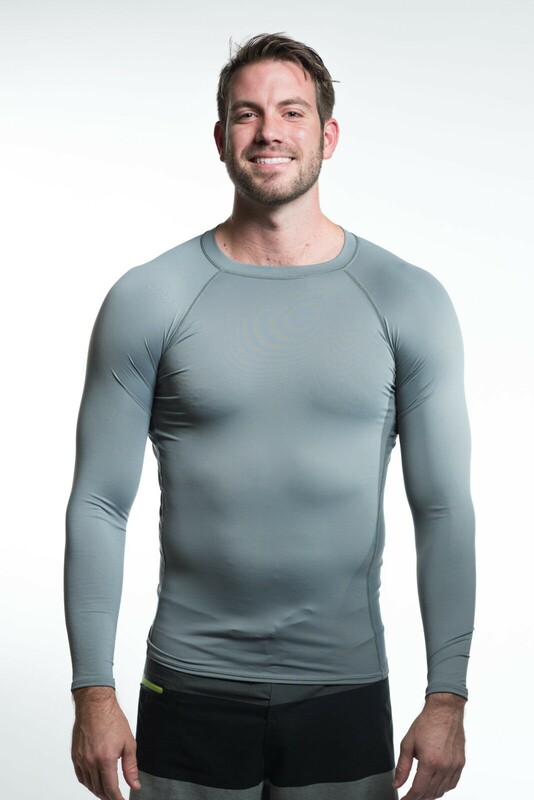 Our mens rash guard has a good fit, great function, and excellent quality. 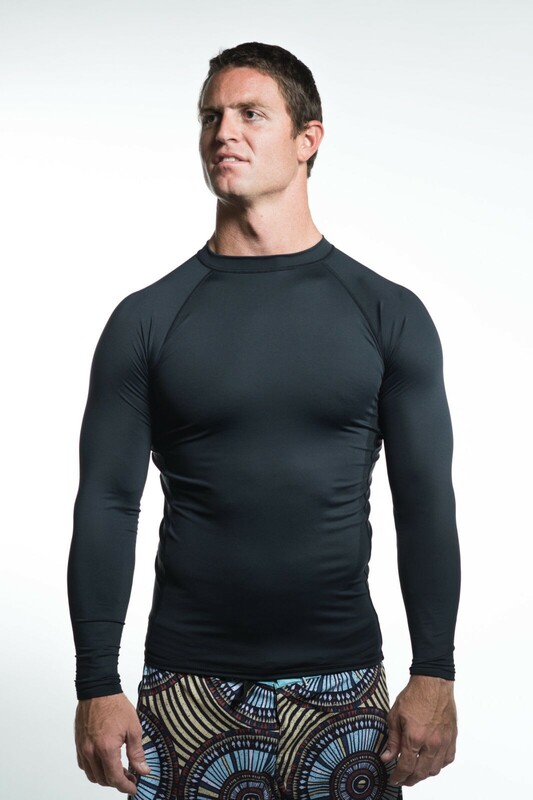 A solid mens long sleeve rash guard protects against chaffing, rashing, and burning. For days when the surf in on and the water is vivid, save your clients and employees the sun damage with this solid and stretchy mens private label rash guard. A mens rash guard is more than just a water shirt, it is an extra layer of skin to incorporate into summertime game and outdoor activities when remembering to apply sunscreen may be easily forgotten. Designed for movement, with flat lock seams to prevent chaffing. Customers and staff will be pleased with the performance and guaranteed sun protection while optimizing time surfing, diving, paddling in this long sleeve rash guard. 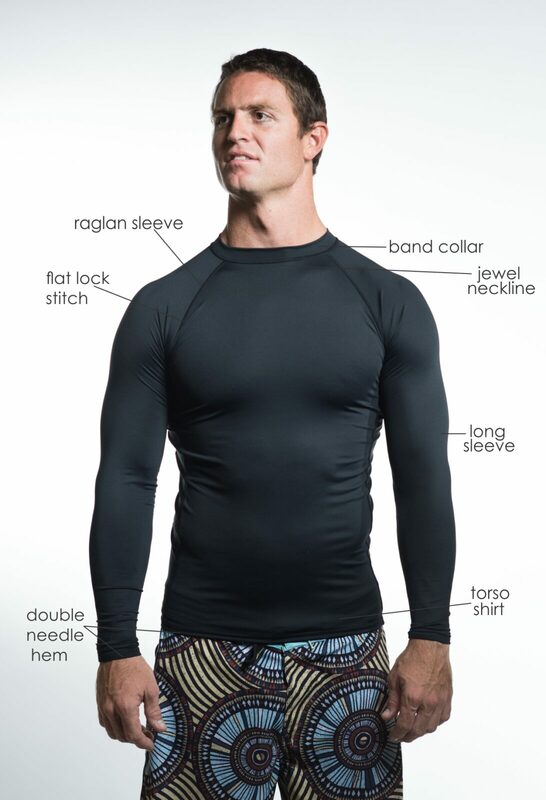 Our mens rash guard is a staple item and bet-seller at an affordable wholesale price to add into your private label line. 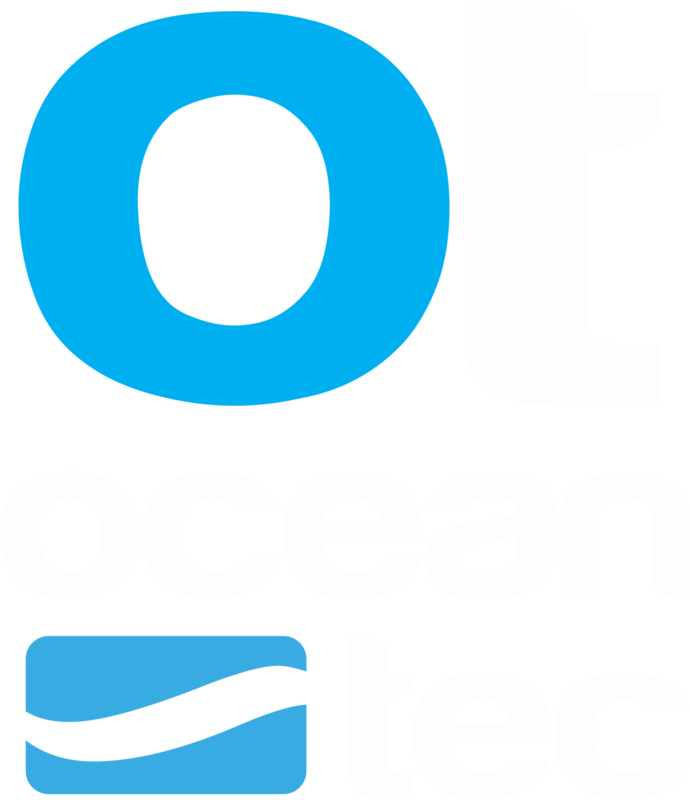 Wears during any performance activity and builds your companies reputation, in and out of the water. Unbeatable comfort and quality, this mens SPF rash guard brands a company as a serious member of the performance industry. Our Swim Shirts, surf tees, or rash guards are excellent for that effortless UV sun protection. You must have the right gear, And one of the most versatile essentials is a good rash guard . Our 2FLEX ultra stretch fabric is Rated UPF 50+ and Dermatologist recommended. 100% customer satisfaction guaranteed.